In his reaction, Buhari had in a statement by his spokesman, Garba Shehu, on Saturday asked HSBC to stop predicting his defeat and return stolen assets belonging to the government. Speaking on the development, EFCC in a statement posted on its official Facebook page, said HSBC is synonymous with money laundering. The anti-graft agency also listed part of Abacha funds and assets yet to be recovered from HSBC. 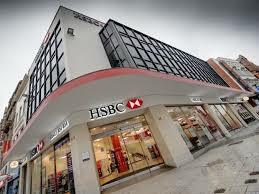 The statement reads, “HSBC Bank plc is one of the largest banking and financial services organisations in the world. HSBC’s international network comprises around 7,500 offices in over 80 countries and territories in Europe, the Asia-Pacific region, the Americas, the Middle East and Africa.